Newport, RI – The 12th annual Doris Duke Preservation Awards will recognize three recent projects for their contributions to preserving Newport’s architectural heritage and character. The awards will be presented on Friday, September 7, 2018 at a celebration at Rough Point, the Newport home of preservationist and philanthropist Doris Duke. The event will also commemorate and celebrate the 50th anniversary of the establishment of the Newport Restoration Foundation. The Doris Duke Preservation Awards is a collaboration of the Newport Restoration Foundation (NRF) and the City of Newport. The awards encourage and recognize restoration and rehabilitation projects that intend to preserve the intact historic character, landscape, and/or distinguishing features of buildings and sites of all types and periods. The award winners were chosen by a jury comprised of representatives from the Newport Restoration Foundation, the City of Newport, and individuals involved in historic preservation at the local and state levels. The Cattle Crib (1916), Beacon Hill Road, Newport, RI, Owned by Mark and Leslie Hull; recognized for the adaptive reuse of a former early twentieth century livestock pen, which had fallen into neglect during the past few decades. The structure was originally part of Swiss Village – previously known as Surprise Valley farm and associated to the Arthur Curtis James estate. The building was abandoned for farm use many decades ago and along with several adjacent farm buildings, was left to eventually deteriorate to a dilapidated state. 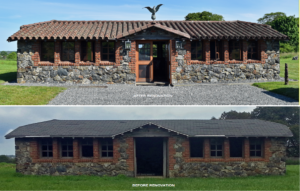 This historic farm building has been completely renovated in an effort to bring back its original character, and is currently enjoyed by the property owners as a passive retreat. 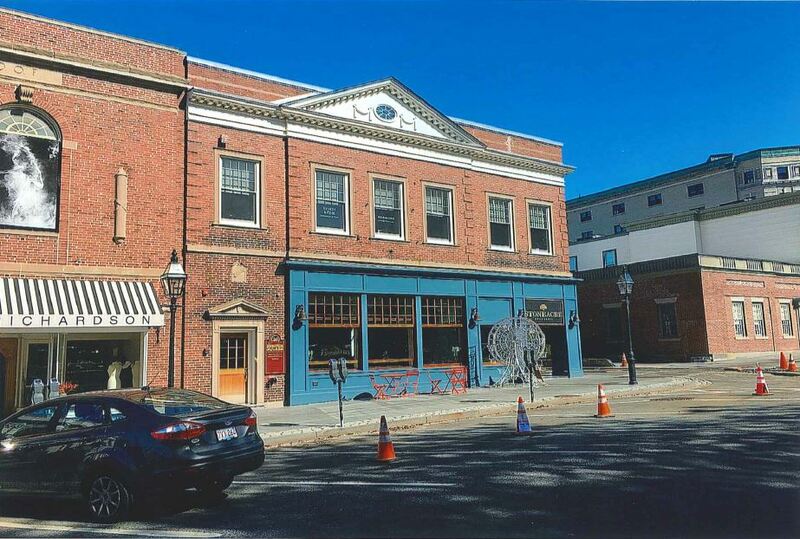 26 – 30 Washington Square (1931), Newport, RI, Awarded to GA Washington Square, LLC; recognized for successfully reinvigorating a commercial space in Washington Square. 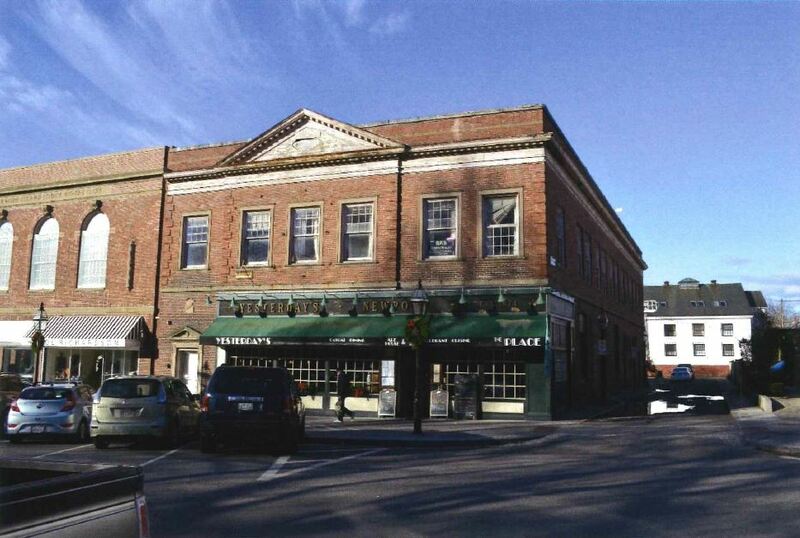 The property is a two-story Colonial Revival brick masonry structure, built in 1931. 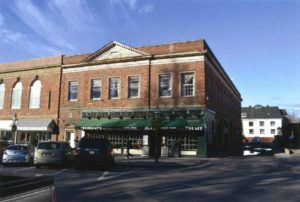 The building has traditionally been used as office space on the second floor and commercial space on the first floor. The project, completed in 2017, restored the exterior above the storefront, replaced windows, cleaned and repointed masonry, and replicated the missing gable ornament, while also remolding the interior space. The building is presently home to the restaurant, Stoneacre Brasserie. The Blue Garden (1911–1918), Beacon Hill Road, Newport, RI, Awarded posthumously to Dorrance “Dodo” Hill Hamilton; recognized for rebuilding an original historic landscape design to fit modern standards. The Blue Garden was first designed for Arthur Curtiss and Harriet Parsons James by Fredrick Law Olmstead Jr. After their passing in 1941, attention paid to maintain this labor-intensive property plummeted, and continued to be neglected after being subdivided and purchased by developers. 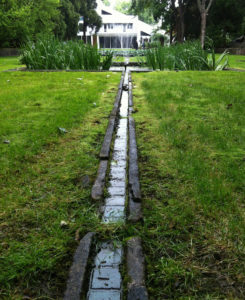 In 2012, the property was purchased by Dorrance H. Hamilton — a noted philanthropist and garden enthusiast — and the restoration process began. Architects utilized original Olmsted dimensioned drawings to specify the rebuilding of garden structures to modern code and his plans were reinterpreted to keep the original intent but provide for more sustainable future management. 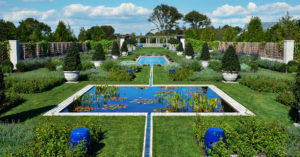 Today, the Blue Garden is open by appointment to those who are affiliated with a group or institutions involved in gardens, design, the arts, maintenance, horticulture, historic preservation, landscape architecture, architecture, and education. Since its inception 12 years ago, the Doris Duke Preservation Awards have raised over $400,000 to support historic preservation in Newport. Doris Duke established the Newport Restoration Foundation in 1968 with a radical idea: rescue and restore Newport’s oldest houses — which were, by-and-large, deteriorated and threatened by demolition — and lease them to resident-stewards with a corps of skilled craftsmen on staff to maintain them to top standards. The Awards, which provide crucial support to NRF’s continued efforts in advancing historic preservation activities, are named in her honor. Tickets are available for purchase online at www.newportrestoration.org/ddpa.